The three- and four-bedroom homes range in size from 1,700 to more than 4,100 square feet. 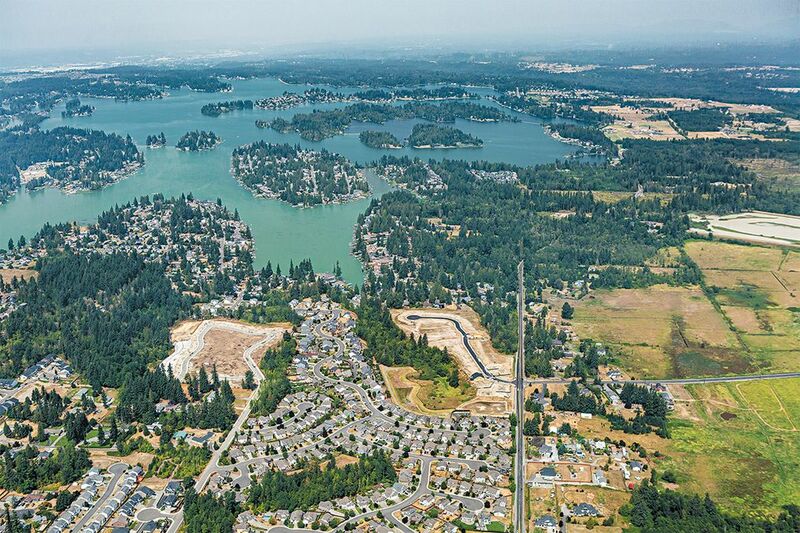 BONNEY LAKE — Just south of the recreational opportunities at Lake Tapps, Garrette Custom Homes is building Stone Creek, a new collection of 27 homes with homesites of up to 17,800 square feet. The neighborhood backs up to natural green space and includes both ramblers and two-story homes with lower-level master suites. Prices start in the mid-$500,000s. Of the 27 homes, four have already been spoken for and two are complete and ready for a quick move-in. The neighborhood backs up to natural green space and is located just south of Lake Tapps. “Like its name suggests, nothing that Garrette Custom Homes builds is cookie cutter. Our designers go to great lengths to make sure every home is unique in some way,” says Elliott. 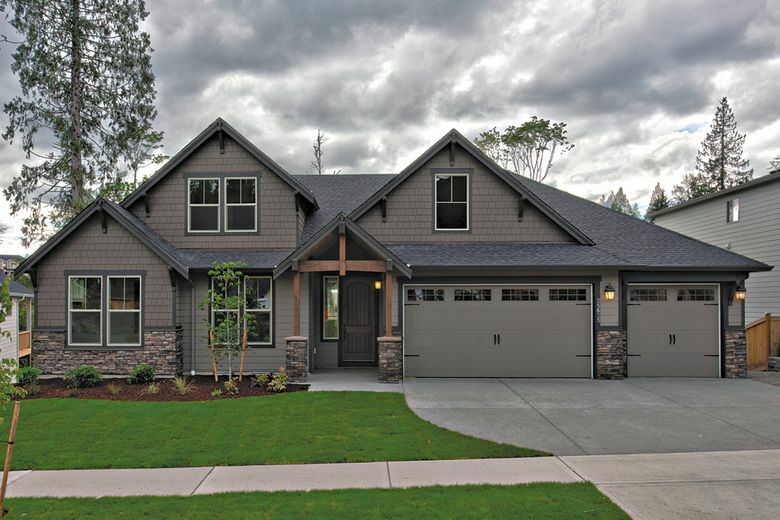 Northwest Craftsman detailing is rooted by solid construction, including durable Cemplank lap siding and high-performance Tyvek wrap. The three- and four-bedroom home designs range in size from 1,700 to more than 4,100 square feet and feature elements such as coffered great room ceilings, parlors or private offices, formal dining rooms and breakfast nooks. Some homes have the option for a three-car garage, and others have flexible spaces that can be finished as an additional bedroom, bonus room or loft. Homebuyers can choose from premier or contemporary finish packages. Interiors showcase stainless-steel appliances, granite and quartz countertops with full-height backsplashes, extensive millwork throughout, and gas fireplaces elegantly framed in tile or stone. To personalize the spaces even further, Garrette Custom Homes has a 5,000-square-foot design center where buyers can select their lighting, flooring, appliances and more. Stone Creek’s location places homeowners within easy access of everyday amenities. Lakeland Town Center, Target and Costco are nearby, as are connections to Highway 410.